In today’s dynamic market and questionable motives it is absolutely imperative to get your own INDEPENDENT, NEUTRAL & UNBIASED real estate appraisal. This way you are getting the fair market value and can use that to make an INFORMED DECISION. Sellers and Brokers have their own agendas, it’s important to protect yourself and not only this but to save time. This is because even if you agree to overpay for a property, the mortgage bank issuing the loan will decline the entire transaction because their appraiser has come in with a lower value. Banks have become a lot more stringent with lending after the sub-prime housing collapse. 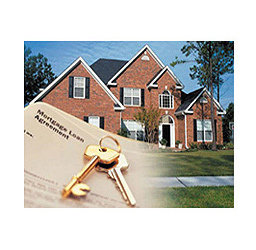 We will appraise your property having your interests in mind with no bias. We aren’t affiliated with any realty group so you know you will get a neutral fair market value. With this knowledge you can then make an informed decision. *The Appraisal Inspection – The appraiser would come by and do a physical inspection which would include measuring the property to attain an accurate GLA (Gross Living Area), shoot photos of the interior/exterior, do a visual inspection to determine condition and account for any necessary repair or updates. *Comparable Sale Selection and Adjustments – The appraiser would do a thorough market analysis of recently sold sales and available listings. 4 Comparable sales would then be chosen which are most similar to the subject. Adjustments would then be made for various discrepancies which include: Square footage, lot size, age, condition, room count (bed & bath), basement, heating/cooling, garage, amenities, location, style, view, obsolescence etc. The appraiser would also analyze recent market trends and determine if the subject is in a declining, stable or increasing market and then make appropriate “time” adjustments. *Final Reconciliation – The appraiser would then carefully analyze the pre/post adjusted sales price of the comparables, determine which sale(s) deserve most weight (There are many factors that can determine comparable weight which include: proximity to subject, the most recent sale, similar condition, size, style, net/gross adjustment % etc.) and arrive at an appraised value for the subject property.